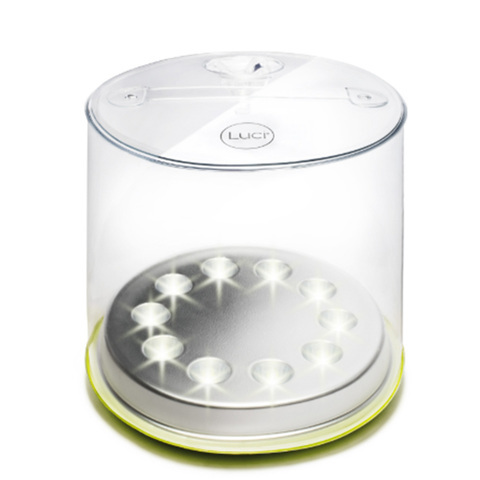 Luci's toughest, longest lasting light ever, GO FURTHER with the Luci Pro Series: Outdoor 2.0. Now with mobile charging through a two-way USB port, the Luci Pro Series charges from empty to full in just a few hours when plugged in to a power source and lasts 50 hours or more on a single charge. Top up the charge on your smartphone with the power of the sun, and still have enough battery power to have brilliant light for another couple of hours. Test your limits with the light made for Mother Nature's biggest fans. Light Output: Light dims and brightens up to 150 lumens.